Starting October 23, 2018 the new version 1.3.0 of VTconsoleConfigurator is available in the Mac App Store. Since November 6th, 2018 the new version 3.5.1 of VTconsole is available in the App Store. There are only small changes, mainly the new version ensures compatibility with iOS 12 and the new iPhone models Xr, Xs and Xs Max. Since May 11, 2018 the new version 3.5.0 of VTconsole is available in the App Store. A new In-App Purchase module is introduced, its name is “Site Survey”. Starting December 7 2017 the new version 1.2.0 of VTconsoleConfigurator is available in the Mac App Store. Starting August 21 2017 the new version 1.1.0 of VTconsoleConfigurator is available in the Mac App Store. Starting May 3 2017 the new version 3.4.0 of VTconsole is available in the App Store. The implementation of “Double width double height” is closing an emulation gap. Now you can select multiple devices. Any action will then be applied to the list of selected devices. 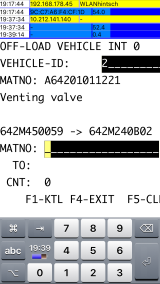 That makes broadcast messages possible as well as deploying a new configuration to many devices at once. The messages view has got a new layout. 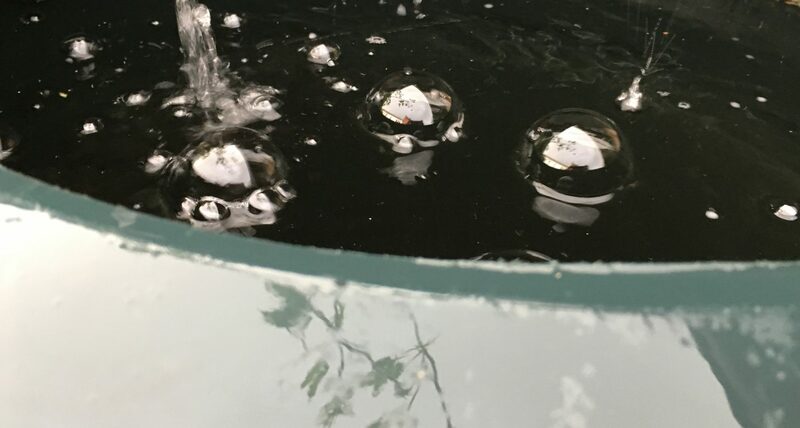 Sent messages will be stored and can be retrieved for several days. Since 26. 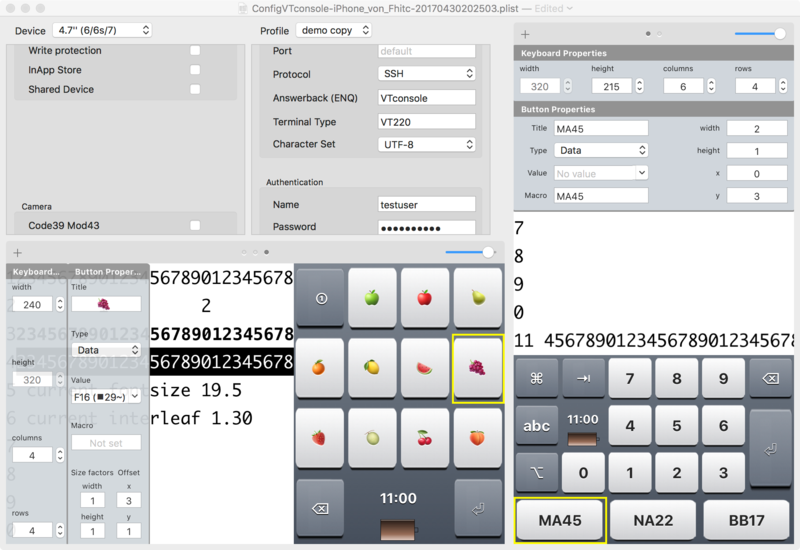 January 2017 the version 3.3.1 of VTconsole is available in the App Store. A new configuration file could not be deployed to VTconsole by VTconsoleAssistant, if VTconsole was in the state of a fresh installation. Since 12. 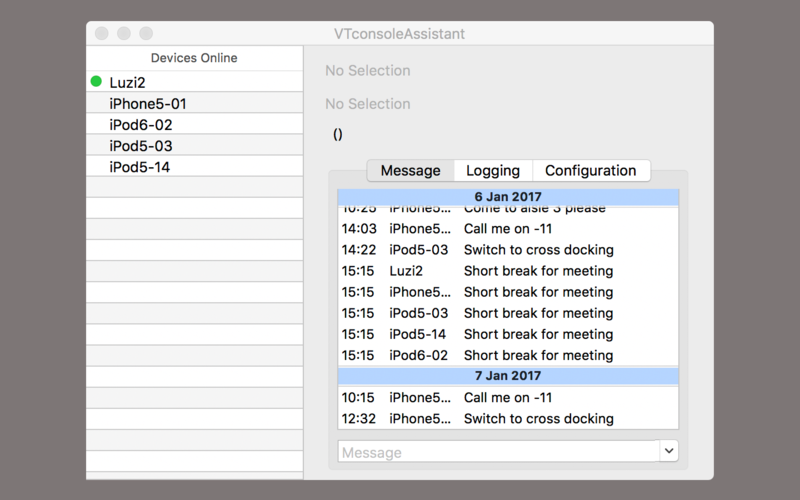 January 2017 the new Version 3.3.0 of VTconsole is available in the App Store. New functionality is now made available via In-App Purchase modules. The first module is called „Shared Device“. It offers the ability to enter login data for all profiles at one central point. 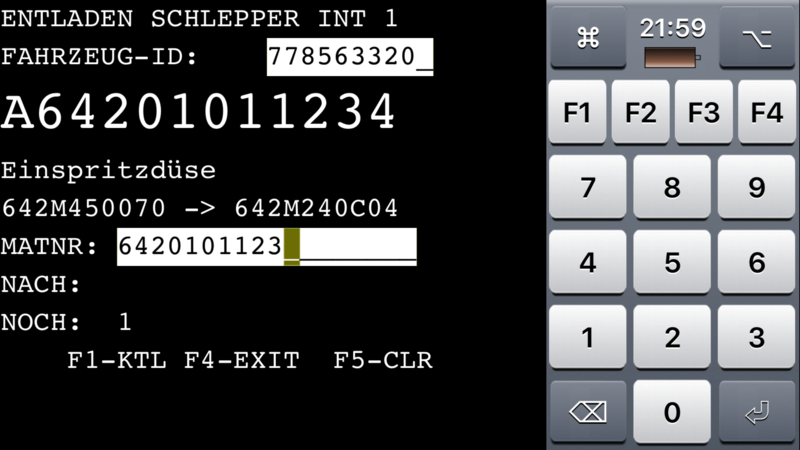 Thus it is very easy to hand over a device on shift change to the next fellow while retaining the autologin facility. 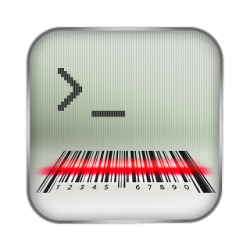 The login data can be captured with barcode scanner resp. builtin camera. The builtin camera capture screen is enhanced by a hairline cross. The list of allowed barcodes for the builtin camera can be edited by the user.